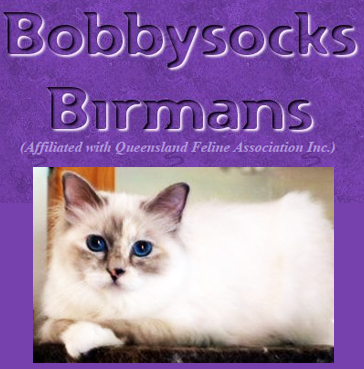 Birmans are divine kittens and grow into gorgeous cats. Their personalities seem to be more outgoing than some of the other colours so they fit in very well with all members of the family. 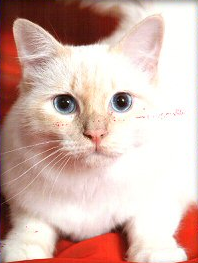 This breed of cat is ideally suited as an indoor pet and will give their owners many hours of pleasure and enjoyment. 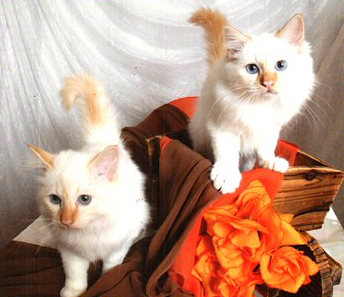 They are affectionate, very intelligent, and love to be around people. I am continually striving to perfect the standard of my kittens so am always looking forward with excitement and anticipation to the next litter. 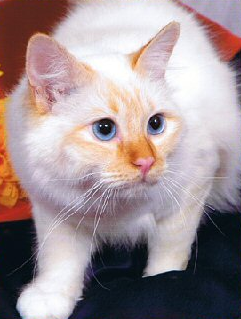 I have downsized and I am now only breeding specialty colours red and cream points, although tortie points are available sometimes. All my kittens have the "Purr" factor and make great pets.